Entrepreneurs have long been generalised as people who set up their own businesses, tackling financial risks, in hopes of acquiring profits. However, various founders have proven with their startups that entrepreneurs are more than just risk takers with an end goal for money, but are actually innovators with solutions to better the community. When faced with difficulty in booking buses to travel to provinces, Langda Chea created BookMeBus, granting passengers a convenient platform to find, book and pay for bus tickets online. After realising that many Cambodian women lacked the resources to make informed decisions about their health, Rosnow Douy Sabay, (RDS) platform was created to provide free healthcare advice. Co-working spaces like Impact Hub were born from the observation that there was a lack of space for resources and networking for passionate individuals. All these examples prove that entrepreneurs have the ability to improve the lives of others while still making profits through creative thinking. So if you are a budding entrepreneur or even an existing company – why not tackle the worldwide problem of poverty while receiving funding and guidance for it? The Innovations Against Poverty (IAP) fund is a specialized fund with the specific mandate to identify and support innovative Inclusive Business models that deliver both commercial benefits for the private sector and developmental benefits for the low-income population. Launched in 2011, IAP takes on the pioneering role in promoting innovations and social entrepreneurship aimed at the low-income population, and challenges the private sector to develop products, services and business models that can contribute to the fight against poverty and climate change. They believe that low-income markets represent a large business opportunity. With four billion people living on less than $8 USD per day, they constitute a global consumer market with shared purchasing power valued at 5 trillion USD. This low-income population provides the potential to increase labour, supplier and distribution channels that can support expanded production and market supply. This is a significant scope that offers entrepreneurs and private sector development to make a positive impact on the lives of those who fall in the low-income range. Agriculture and food: including, but not limited to, achieve food security and improved nutrition; promote sustainable agriculture. WASH: including, but not limited to, availability and sustainable management of water and sanitation for all. Energy: including, but not limited, access to affordable, reliable, sustainable and modern energy for all. ICT: including, but not limited to, access to technologies and services that help deliver solutions in the sectors above or other basic needs. On paper, by thinking innovatively, companies can develop business ideas that have the ability to solve social and environmental issues while maximising their competitiveness and profitability at the same time. However, IAP understands that in reality, many of these initiatives are exposed to commercial, technical and financial risks with limited access to markets. Companies that initiate these innovative, inclusive business ideas also traditionally lack the technical support required, are part of the “Missing Middle Gap” – too large to be considered microfinance but too small and risky for mainstream commercial debt and venture capital. .Entrepreneurs can expect to receive financial support ranging from €50.000 to €200.000 as a non-reimbursable risk capital for up to a maximum of 49% of total required investment. Companies are also offered advisory through workshops and individual coaching to help them in developing and rolling out their business models that engage low-income groups and deliver a commercial return. This advisory support would be delivered via a mix of international and local specialists in the fields of inclusive business development, finance, innovation and others. The IAP programme is suitable for the entrepreneurs who find risk exciting rather than intimidating, as they do not invest in risk-free cases, since they can already be served by other programs and institutions in the commercial markets. Rather, the IAP fund functions as a risk-sharing mechanism, with the specific mandate to identify and support business models that deliver both commercial and developmental benefits for the private sector such as the creation of jobs, income increase and access to basic goods and services for the low-income, especially the women and youths. If your innovation-creating mind has been tickled, and your interests piqued, the IAP application for Cambodia has already opened for sign-ups! The application process is organised around two phases: the submission of a concept note, and if shortlisted, the submission of a full business plan. After concept notes have proven to fulfill the minimum eligibility criteria, it will then be evaluated against the basic assessment criteria that include: project viability, social impact, innovation, responsibility and sustainability of the business approach, and scaling potential. In phase 2, the full business plan would also undergo similar evaluation, with an addition of these criteria: additionality, cost effectiveness and other risk factors. The selection process is implemented on a first come, first serve basis so what are you waiting for? 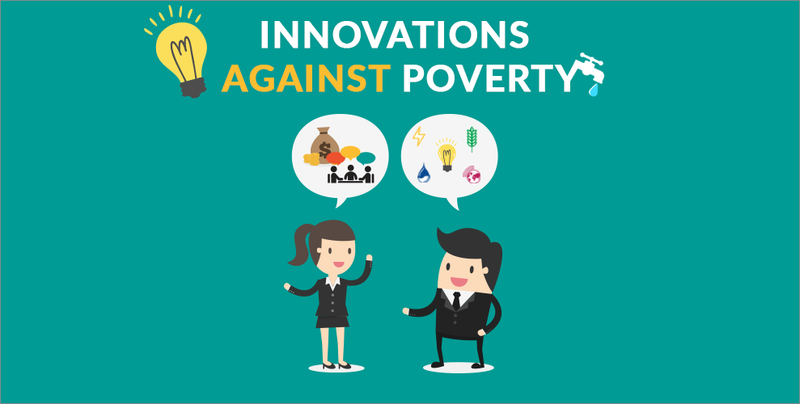 If you feel that you can fulfil the requirements, and have the passion for tapping into the low-income market for abolishing poverty, why not apply now at: https://iba.ventures/iap/application/. Geeks in Cambodia definitely feels that such a well-rounded funding opportunity and advisory support found under this programme is hard to come by, and with an inspiring movement towards fighting poverty, it is certainly a programme that we would encourage existing and aspiring entrepreneurs to be a part of. For more information, visit their website at https://iba.ventures/iap/.